Listen closely. Listen to the idiosyncrasies in her voice. Listen to how he curls his r’s. Each person is a tender snowflake, some might say. 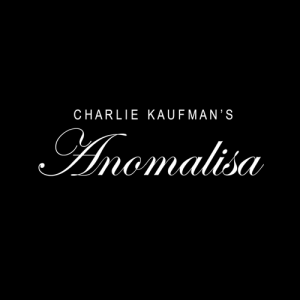 Charlie Kaufman, director of the grand Synecdoche, New York, together with Duke Johnson have hit something special in Anomalisa. Its stop go-motion technique and puppet characterisations may remind you of Team America or the Broadway sensation Avenue Q, but this isn’t just about laughs (though it does hold a dry wit that only Kaufman can deliver). 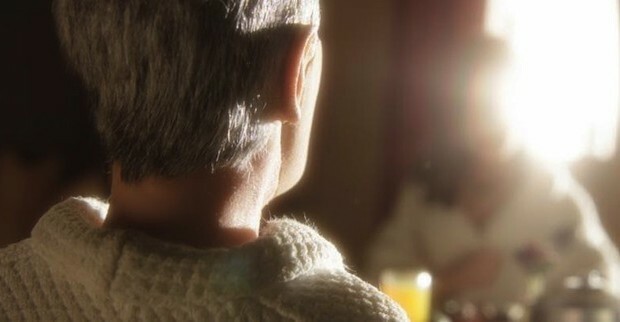 Anomalisa is a small play; a considered deconstruction of the detached, unhappy man. And it’s never looked so glorious. Michael Stowe (David Thewlis) has travelled to Cincinnati to deliver a speech. He is author of How Can I Help You Help Them, which details how to be successful in customer sales. A title as pointed as Carnegie’s How to Make Friends and Influence People, he has managed to place himself in a position of inspiration as his books improve customer sales by “90%”, we’re told. But he’s depressed. His wife, Donna, is at home with his son. They have argued and he fantasises (or has indeed) left home. He struggles emotionally; he hears voices and in his faux skin, he is literally uncomfortable. Everyone sounds the same too. The taxi driver. The receptionist and hoteliers. His wife. His son. They seem to be identical people, except subtle variations in clothing, hair and figure. They’re the same until he meets Lisa (Jennifer Jason Leigh). Her beautiful voice lifts him from his slumber and together they share a, somewhat awkward, tender night together. It’s all from his perspective though and poor Lisa is the consequence to his actions. Representational rather than literal (how many affairs has Michael had before this particular night? ), Lisa is purposely ambiguous around the edges, but she’s vividly realised. Michael equally has specific movements and a body language we relate to (selected after analysing videos of the actors as they voiced the characters). You’re allowed to laugh at its observational moments. Rather than the puppet physicality, it’s the truth that makes you chuckle. Like Michael slowly acclimatising to the shower, by leaping back and forth between expletives, is something we’ve all experienced. But it’s the intriguing and innovative use of the same voice that is the most clearly the mark of Kaufman. The faux-bureaucratic dream harks back to Kaufman-scripted Being John Malkovich, while Michael’s panic attack, visualised by the deteriorating environment, recalls Gondry’s direction of Eternal Sunshine of the Spotless Mind. This is the surrealist humour and story that we recognise and only Kaufman can deliver. Even then, it’s more than his trademark tone that sets Anomalisa apart. Until we meet Lisa, Michael’s multiple conversations with (what seems initially like) genderless characters is inspired. Could his old flame, Bella, be a man? When we first hear Donna, it’s the same male voice. It’s initially disorientating, but you recover your bearings quick and without explanation, it simply doesn’t matter. Lisa has a disfigurement too, but it’s not clear what it is. Again, it doesn’t matter. The central theme is who Michael is, and it is comfortably flexible with the audience’s interpretation of gender and affliction. Primarily based in a small, standard hotel room, and dealing with two completely unremarkable characters, Michael does allude to bigger themes in his speech. The connection between his own personal frustrations, lack of confidence and sense of masculinity links to the broader issues of culture and identity. Simply put, he’s going through a mid-life crisis. But it’s a crisis which, like the customer sales he’s expert in, people say they can remedy. An American dream was sold but it’s a faulty product and at his age, he can’t return it. Anomalisa is compact, and playful, but it’ll speak to you in whispers. It’ll tell you that at your darkest point, and in your most fragile state, a brief encounter or shy voice may change everything.